An inspiring group of adolescent girls from Duyaripara Slum, Mirpur, Dhaka took initiatives to stop the marriage of a girls club members from their community. Seventeen years old Sanjida Akter and her friends from Duyaripara Slum were often found themselves neglected and girls are usually married off early, restricted to go out alone from their homes and could never dream of working or studying further. 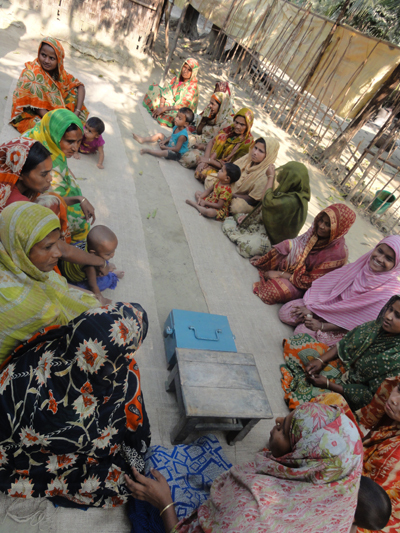 As part of the project namely: Girls Club: Addressing Challenge and Expanding Opportunities” implemented by TARANGO and funded by Australian Government one adolescent girls' club was formed on February 2017 in Duyaripara Slum, Mirpur, Dhaka along with 20 young girls with the aim to enhancing their leadership, carrier visioning, vocational skills and awareness of social issues thus they can contribute more fully to the family, the economy and society. 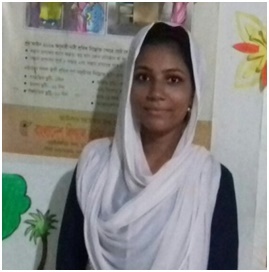 Sanjida is a regular member of ‘Swapner Shiree’ Girls Club at Duaripara area participated as a Peer leader in various activities and keeping active role of social awareness dialogue in the club. Besides that, she takes active role of her family and giving information with other club members about the social awareness. It came to Sanjida’s attention that Punam, one of the members of girls club, suddenly stop coming to the club. After notified that Sanjida visited to Punam house and came to know that Punam’s parents has planning to arranged Punam marriage and she will not come any more in the club. Sanjida was determined to put an end to it. At first Sanjida tried alone to comprehend about the matter to Punam father. But he did not convince. After words, she persuaded Punam parents by advocating about the disadvantages of child marriage and government rules against child marriage to stop the marriage along with club & committee members. At last Punam father’s decided no early marriage giving his daughter. Now Punam is regularly joining girl’s club activities. This club has able to create a safe zone for those girls to share their thoughts and experiences, engage with their peers on issues they faced individually or collectively and build capacity on how to tackle the same. Now these girls started thinking to raise their voice on issues related to early marriage, girl’s education, gender discrimination, empowerment and other social issues. As a result, Swapner Shiree’ Girls club members were able to stop the Punam child marriage, winning the obstacle and dreaming of full path.